Manufacturers are responsible to ensure their products meet safety requirements long before consumers purchase their items. A drive to increase profit margins has caused some manufacturers to overlook safety requirements in a rush to make a killing on the sales floor. Unfortunately, design defects, manufacturing errors and inadequate product warning labels can lead to catastrophic and even life-threatening personal injury accidents. If you or your loved one was injured from a defective product, consult Friedman, Rodman & Frank, P.A., to help preserve your legal rights. Our firm's Miami product liability attorneys have more than 100 years of combined experience helping accident victims obtain a full financial recovery. We know how to prove fault in a wide range of product liability claims involving children's toys, power tools, job-site equipment, automobiles, tires and household products. 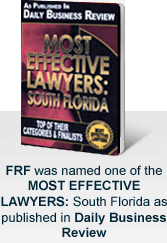 Contact our law firm today to schedule a free initial consultation with a skilled Florida defective product attorney. Our firm's personal injury attorneys know how to prove fault, even when liability is initially unclear. We work with industry-leading experts focused on helping us determine all potential sources of liability of manufacturers, dealers, products designers, retailers, and even owners. We also have a strong background holding drug manufacturers accountable for failing to warn consumers about the dangerous side effects of prescription drugs and over-the-counter drugs. Our law firm evaluates every angle possible to determine all liable parties. Frequently there may be more than one party responsible for causing your accident. We seek out claims against all possible parties who may have directly caused or contributed to your accident. It is our firm's mission to obtain for every client the maximum potential recovery. 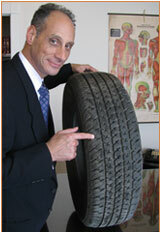 At Friedman, Rodman & Frank, P.A., our top priority is to help you get back on your feet. We want to help you obtain a full financial recovery for the past, current and long-term damages you have endured due to someone else's negligent actions. We will consult your doctors to understand the type of medical care you will need today and well into your future. Our door is always open for victims or your loved ones of defective products. We will fight hard to recover compensation for you. Contact our law firm online or call 305-448-8585 or toll free at 877-448-8585 to schedule a free initial consultation with a highly skilled Florida defective product attorney. We are available 24 hours a day, seven days a week. All consultations are free and confidential.